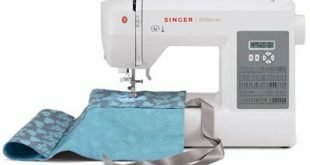 It’s all about making sewing easy and that’s the Unique Selling Point of Singer 5400 Sew Mate. There’s a promise of easy and simplicity written all over this portable sewing machine. 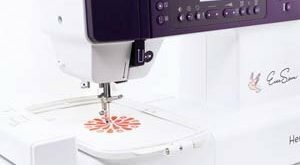 Singer 5400 sew mate is a sewing machine that promises you a little but delivers beyond expectations. Just to let you know that this sewing machine is fully equipped with every feature that will meet your needs. That’s why you need not stop here, but further to know why it is deserving of these good words. For a machine targeting beginners and newbies, it possesses all the essential features that make learning and practicing fun. These features allow for total concentration without having to fumble with learning how they work. There’s nothing as discouraging as not knowing how to maneuver the major tool of your beloved craft. That’s why Singer 5400 is the darling of newbies, it gives them all the room to learn without stress. As portable as it looks, it is crafted from the best of materials. From the body frame, the automatic features and every other essential. The level of reliability makes it durable for everyday transportation and mobility. 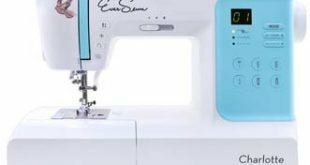 You know the first pointer why this sewing machine is not meant for just newbies? There are a whopping 60 Built-In Stitches that comes with it. Much more than just what any beginner can handle. Maybe, the sewing machine is one to grow old with. Much like a first love that lingers in your heart forever. We are not talking just about ordinary stitches but those that give you the decorative and quilting edge over other sewing machines. Even though it looks portable, the heavy-duty metal frame should put your mind at rest. There will be no skipping whenever and wherever you decide to work. Talk about needle positioning, there’s over a dozen positioning for your needles. You can make yours go in reverse motion, it’s already preprogrammed automatically. Already wondering whether there’s a free arm? Relax, you can always rely on the free arm for creative manipulation of your fabrics. And this one is what beginners will love the most; automatic needle threader. Be rest assured that you need not strain your eyes just to thread the needles. 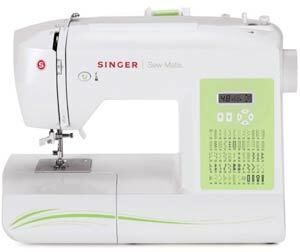 All it takes is a push of a button and your Singer 5400 will adjust the stitch width and length to your required position. Lastly, the extra-high presser foot is a workaholic that gives you ample space to load in layers of fabrics. Looking at the size, the first thought that’ll come to mind is that the machine is meant for beginners. Yes, beginners will find the machine valuable especially those still going through the learning process. Nonetheless, the array of features of the sewing machine also makes it a perfect substitute sewing machine for professionals. As a professional always on the move, investing in one of these small beauties is a wise choice.